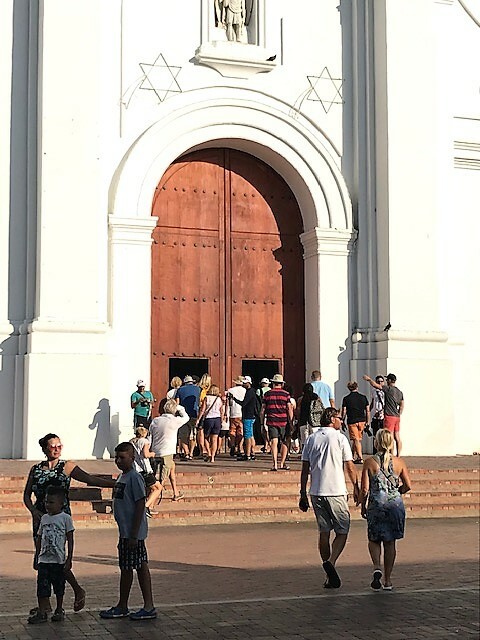 With a busy programme ahead of them they were all going to have the opportunity to get to know the people, history, vibrant colours and traditions of Santa Marta and a flavour of what Columbia has to offer. The programme began with a private Tour of the City organised especially by World Cruising. Guests were welcomed by experienced tour guides who provided commentary on local traditions and daily life in Colombia while on route by coach to La Quinta de San Pedro Alejandrino which is famous for being the location where the ‘liberator’ Simón Bolívar spent his last few days before his death in 1830. Following a tour of the house, monuments and the all-important rum factory, participants wondered through the beautiful gardens where they met their first iguanas. Once back to the lively town of Santa Marta, there was a visit to the Cathedral and Gold Museum, which is located in Casa de la Aduana (Customs House), to learn more about the ancient traditions of Colombia. With new friendships building amongst the fleet, many evenings have been enjoyed together while the sun sets out over the Caribbean Sea. The first being the Welcome Function held in Marina Square. 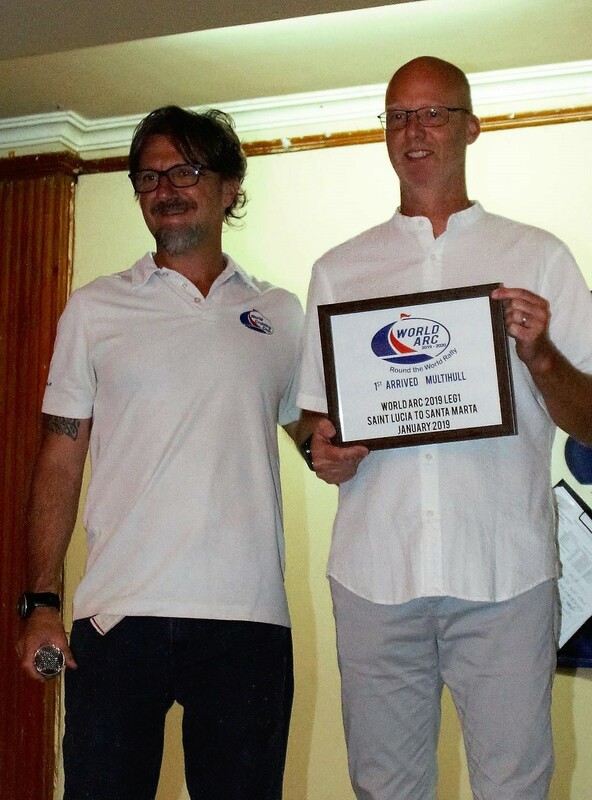 World ARC were enormously privileged to have The Vice Minister of Tourism, Juan Pablo Franki in attendance along with the General Manager of Marina Santa Marta, Juan Carlos Romero Caballero and the Commander of the Coast Guard, Jorge Mario Sanchez who are all hugely supportive of the Rally. A couple of additions to the programme included a fabulous Paella night organised by the Marina Café where participants had the chance to devour an enormous paella washed down with sangria. Sundowners at Coco Marina Café were also a big hit. The owner of Coco, Mauricio, generously treated participants to wines, beers and soft drinks while the colours of the sunset began to fill the sky once again. One of the highlights of the week was a fabulous trip to a private beach. After an exciting drive through the local villages, participants arrived to the beautiful beach, Bahia Concha, located in the Tayrona National Park. After sipping cool drinks under the shade of the trees, everyone tucked into a delicious BBQ lunch but not before a tug-of-war pitting European crews against the UK and Rest of the World. Everyone returned to the marina sun kissed, salty and with big smiles on their faces. A good time was had by all. 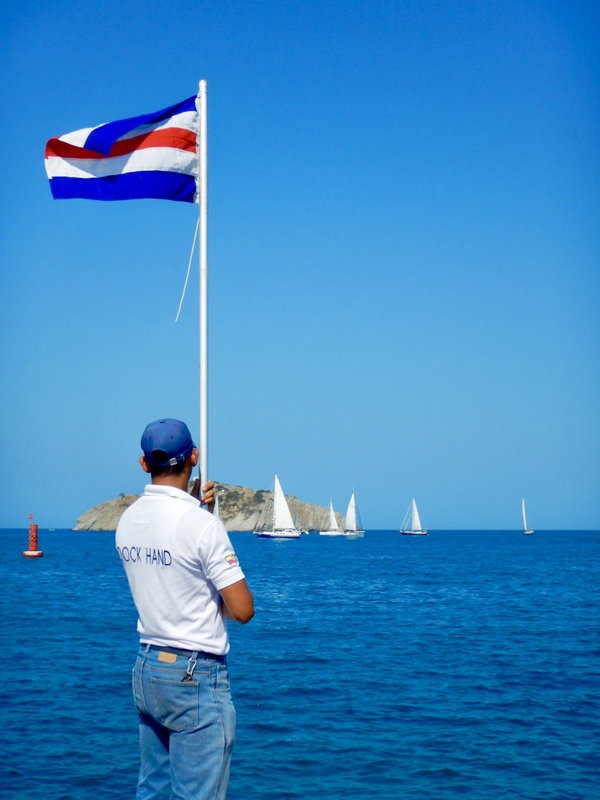 Colombia is a hugely welcoming country and one which is eager to develop their younger generation. A visit to a local school gave participants the opportunity to learn about Fundehumac which is a Foundation committed to the welfare of children. The support of the World ARC participants was hugely appreciated by the children, staff and the foundation. This year there were record numbers with over 40 participants in attendance who were delighted to be part of the visit and meet and interact with the students. After a week of entertaining events it was time to prepare for the next few legs of the Rally. 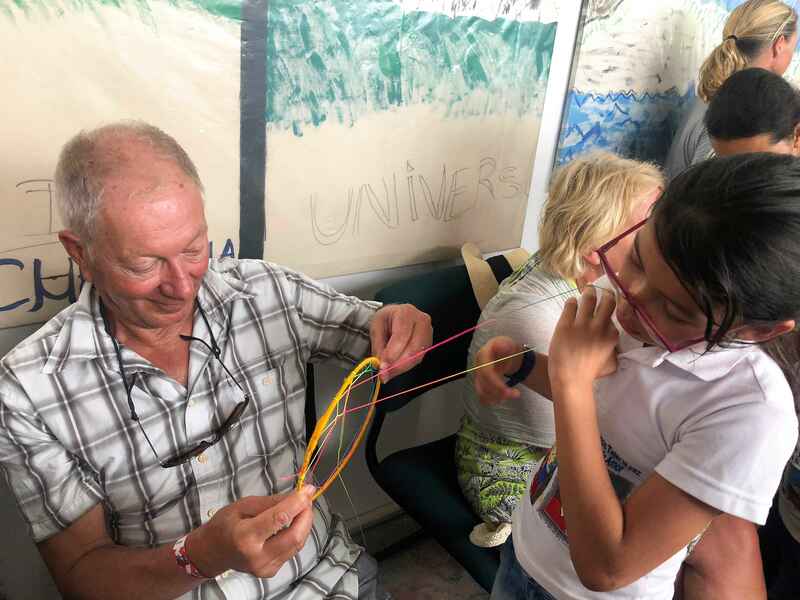 This began with a workshop on the San Blas Islands where skippers and crew were encouraged to share knowledge and discuss intended routes around the islands. Later on in the day there was the skippers briefing followed by a really useful and inciting talk on the Galapagos Islands kindly presented by the World ARC agent, Antonio Moreano. 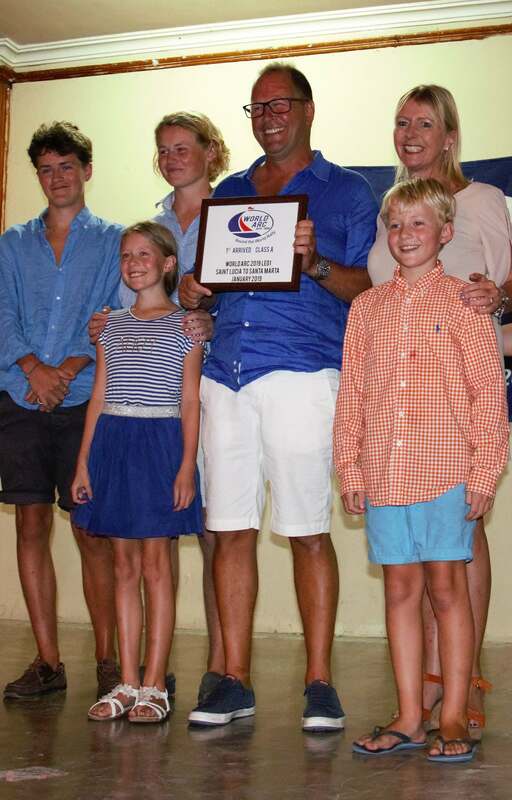 Then it was time to put the notebooks away and enjoy the prize giving and dinner located in the elegant dining room at Club Santa Marta. 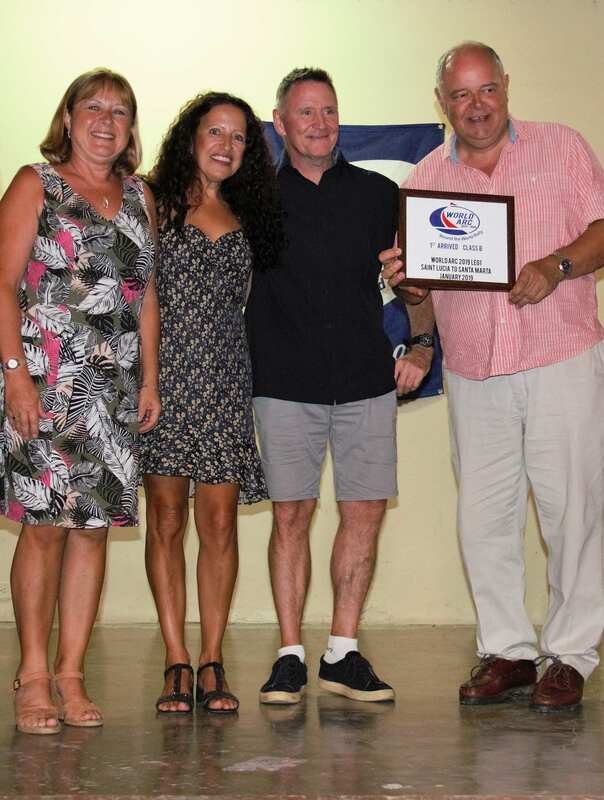 The evening, hosted by Marina Santa Marta, was a great success with entertainment provided by a traditional band and energetic dancers, a delicious three course dinner and prize giving, awarding certificates for the first three boats of each class (on corrected time). The evening ended up with impromptu dancing with participants filling the dance floor proving the fun they have had together over the last week.